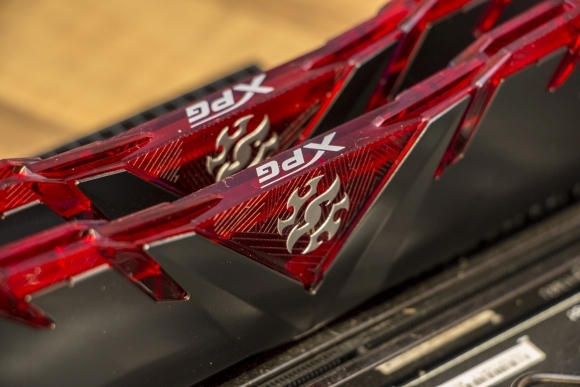 A new DDR4 RAM module from the guys at ADATA's gaming branch, XPG, has hit the shelves. It's named GAMMIX D30, and we've tested its performance. The product developers at XPG have been busy the last couple of months, delivering memory modules like breakfast plates in a New York diner. Now, they have added another dish to the menu: the GAMMIX D30 3000MHz DDR4 RAM module. XPG is an abbreviation of Xtreme Performance Gear. 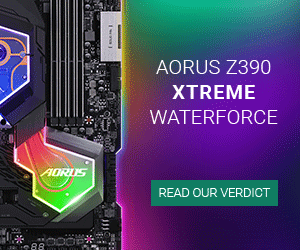 It was established in 2008 by ADATA for meeting the demands of eSport pros and gaming enthusiasts alike. The brand name says it all. ADATA are well-known for their RAM and SSD modules, and, for instance, they make their own DRAM flash chips. So, this is no small player. Let’s see if GAMMIX D30 can satisfy our morning appetite. 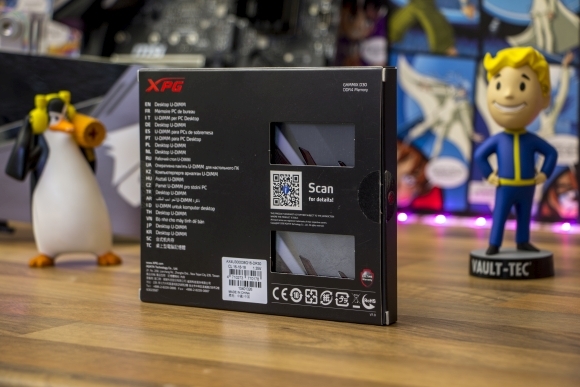 The RAM module arrives in the signature XPG tiny black box with an interior plastic frame, protecting the hardware from any kind of postal treatment. The front displays a picture of the module, and the back features a small dictionary translating “Desktop U-DIMM” to 21 languages and a small peak at the modules in their plastic cage. The modules themselves are manufactured with brushed steel on both sides of the heatsink. 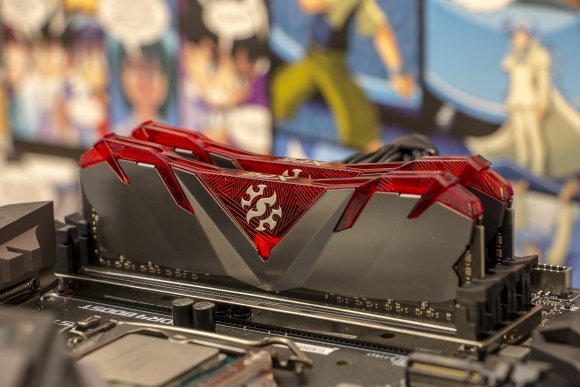 On top, XPG have mounted a red plastic cover, misleading you into the impression that there will be RGB. But no flashy RGB, and I must admit that, even though the heatsink design allures me, the red herring on top puts me off. Furthermore, they have chosen to decorate the plastic with a silver logo. The modules run stock 2666MHz with 1.2V. Overclocking options exist, boosting performance to 4600MHz, needing 1.35V. Our modules perform 3000MHz with Intel’s X.M.P. 2.0 profile, using 1.35V during the test. Here, we have mounted the XPG GAMMIX D30 modules onto our MSI MEG Z390 ACE motherboard, almost making the red design look sort of stylish, combining the ruby with some black and silver. Almost. 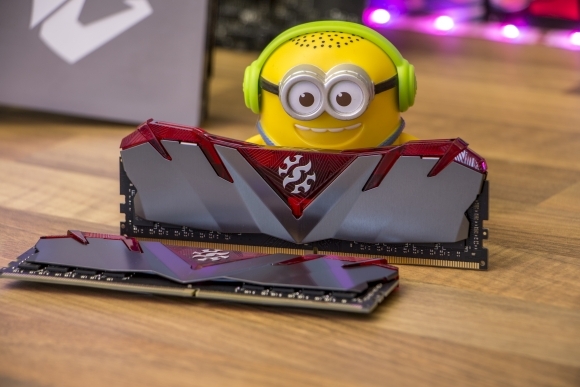 Luckily, you can get the RAM modules with a more neutral colorless plastic cover, nudging the edginess of the conspicuous design down a little. Let’s get down to business. The RAM modules are, after all, primarily stowed away on top of a motherboard in your cabinet, far out of sight. I have used FinalWare AIDA 64 Extreme Edition for testing the XPG GAMMIX D30 DDR4 modules. We see some genuinely stable results benchmarking the GAMMIX D30 RAM modules. The modules maintain a good performance, even when moving data around. Generally, I’m more than happy with these results. A latency of 71.6 nanoseconds is likewise more than reasonable, so no remarks besides complete satisfaction here either. 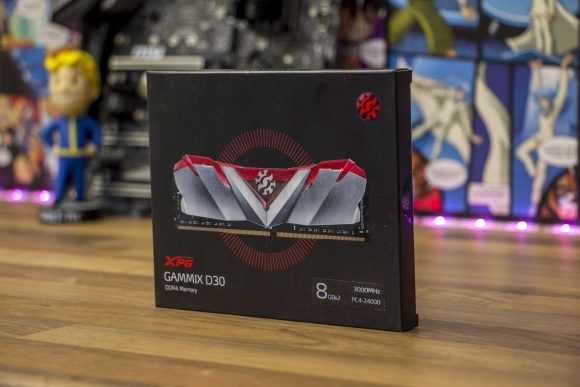 Finally, here’s a total overview to sum up the benchmark testing of the XPG GAMMIX D30 DDR4 RAM modules. First and foremost, this gives you a good impression of how much bandwidth of the RAM possesses to send data to the computer’s L1, L2, and L3 caches. As of this moment, I cannot give any information on the price. 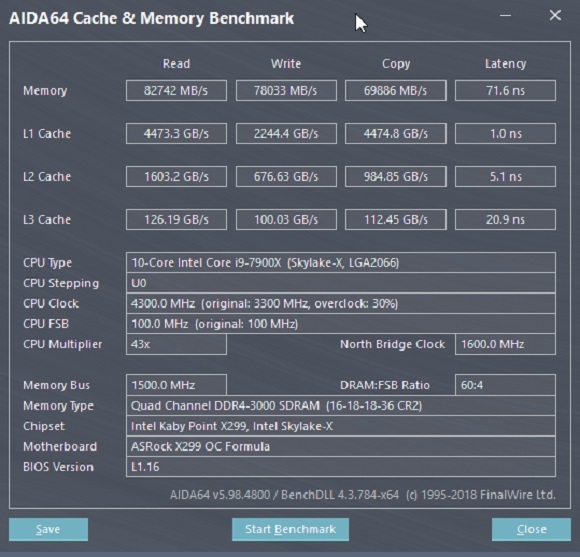 ADATA haven’t given us any information about their MRSP, neither have I found it anywhere. But XPG GAMMIX D10 is found at around $170, so our guess is around $200. The XPG GAMMIX D30 DDR4 RAM module from ADATA is a bit of a two-edged sword for me. First, let’s talk about design choices. I like the brushed steel on the heatsink. However, someone decided to put a red plastic cover on top of these and call it an edgy wing-design. 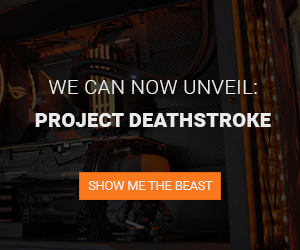 And that same group of people didn’t even add RGB. A transparent, colorless plastic cover is an alternative for those of you who are not fond of the red, and it would’ve been a clear winner with RGB. But there’s not one single diode present beneath the plastic hood. I don’t understand why XPG didn’t go with a pure brushed steel finish. It would’ve looked so much better. The performance, however, is flawless. I have put the modules through the ringer, and they come out on top. As a gamer, I couldn’t ask for more. Albeit, I’d like to point out that you don’t get much more bang for the buck when investing in more MHz. I didn’t experience any performance boost running 3000MHz instead of 2666MHz. A quick recap, bad design, great performance, and the score lands on a solid 8. I could’ve given the GAMMIX D30 have a point more, but not knowing the price I decided that caution was appropriate. No RGB in a RAM module with transparent plastic on top? Don’t force me to make a sad emoji!